Wayne Edwards Workshop — Why Custom? From 1970-2009, we operated the Wayne Edwards men’s store, and we drank the off-the-rack “Kool-Aid”. 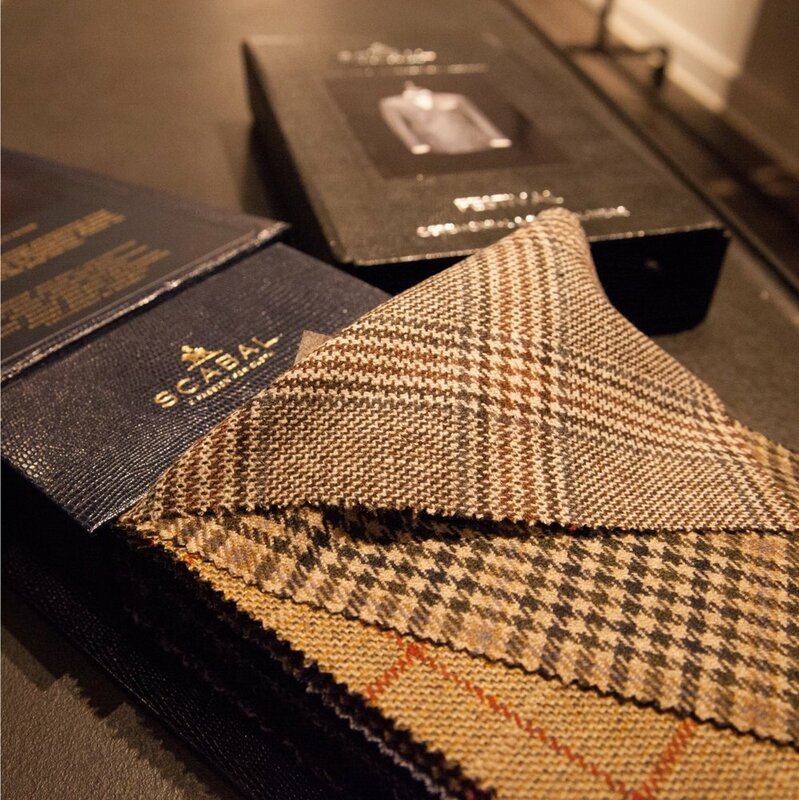 We were responsible for introducing to the Philadelphia market: Kiton, Isaia, Prada, Gianni Versace Couture, and others. Our position statement was "Wayne Edwards- When Compromise is Out of the Question”. We loved the excitement, we loved the energy, and yes, we loved the business. But as they say, things change. Along came the recession and people found themselves questioning their own buying habits. What is the real value of this garment and am I paying for a label? From the front line of our retail store I witnessed the whole thing. I saw a growing interest in our made to measure business. I saw that customers wanted more attention, a better understanding of what they were buying, and an opportunity to personalize their garment. With my having over 38 years in the clothing business, I had the business experience, and the product knowledge. Still, there were missing parts. In 2012 back to school I went. This involved taking courses in fitting, alterations, blue pencil, shirt measuring, fabric knowledge, design, and style. After two and a half years I got certified as a Master Clothing Designer. Then, more things started fallng into place. Better Fit: We use over two dozen measurements to create a suit pattern, nineteen for a sport jacket, and a dozen for a shirt. Off the rack clothing and shirts only offer a standard silhouette. A typical off- the-rack suit is targeted for a guy that stands 5’10 and has a standard weight, posture, and shoulder height- to name just a few of the normalized specs. Better Value: Retailers buy brands that are supported by big advertising budgets. We buy directly from the makers, and rely predominantly on e-mail blasts to promote their products. Brand names generally have a New York City sales office and a sizeable sales force. With custom clothing, there is no big New York sales office, no big sales force. With custom, it’s just the customer, the clothier and the maker; far less overhead.